It’s a hot buzzword right now, but do we all have a common understanding? 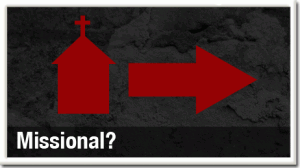 Is Rob Bell a Universalist? A Review of Love Wins. The Apostle Paul was a Motivational Speaker? 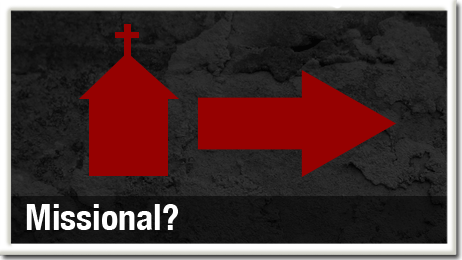 4 responses to What does “Missional” mean? It’s always been a given for me that we as the church are supposed to be God’s representatives, so I never really understood that there is a shift from “attractional” to “being the church in the world.” Though I’m guessing that’s what more people mean by “missional.” You know, going to Starbucks a lot and learning the barista’s name. “Missional,” would stem from how God interacts with humanity. God sending himself into the world to save it, rather than beckoning. So I think the specific term missional refers to the posture we take with the world over all. It is our consciousness, not a model of doing service activites (like many would believe). I think you could spend lots of time meeting all new kinds of people and doing service projects and yet not be a missional person. Missional would see ourselves as constantly being sent out. It is enaging, but in a hoslitic sense, not through events and projects. Incarnational is a big piece of it too. Missional is a word that is overused, and thus confused. The only reason I used it yesterday is that it came up in our staff discussions. If I was trying to be precise, I think I would avoid using the term. I believe what many people mean by it is a lifestyle of gospel intentinality. Instead of living passively it is actively seeking to live out God’s truth through service and proclaiming the Gospel. It is certianly a buzzword, and I believe that many using it are just trying to get Christians to do what Christians have always been called to do.